Hear You speak and won't let go. I lift my hands and pray. A Father's love that draws me in. see is glimpse of You. All I need is You, Lord. One more day and it's not the same. The Spirit calls my heart to sing. Where'd my soul be without Your son. He gave His life to save the earth. Cause all I need is You. 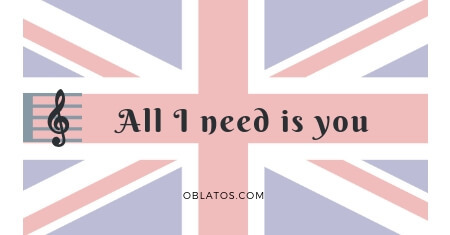 All I need is You, all I need is You, Lord.